Healthy circulation and blood flow are important for a healthy heart. 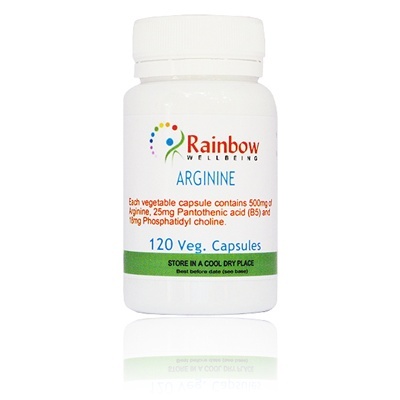 The natural amino acid, Arginine, is a powerful vasodilator and helps maintain blood flow to the heart. It is also a precursor to nitric oxide, a key regulator of many functions, including blood vessel tone, blood pressure and flow. It is also an antioxidant and helps keep the arteries clear and free-flowing. Our formula which also contains Phospatidyl Choline and Calcium Pantothenate is ideal for maintaing a healthy heart. Take 3 capsules before breakfast and 3 capsules in the evening with an empty stomach.